Ok So, Vine or Instagram? Facebook and Instagram announced today that a 15 second-video feature would be implemented into the existing Instagram. Immediately, people on Twitter compared Instagram video to Vine, the popular Twitter app that allows users to take short 6 second videos. 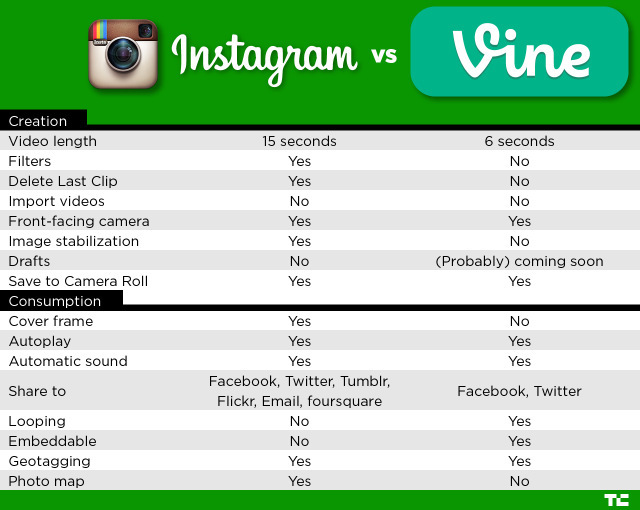 Obviously there are some differences, but how does Instagram and Vine stack up against eaach other? Let’s find out. Most significantly, Instagram videos can range from three seconds to 15 seconds. Vine videos can be up to six seconds long. Vine users say the short time limit pressures them to be creative. Instagram says such a low maximum is actually a barrier to creativity, and that telling good stories requires something slightly longer. Fans of brevity, stick to Vine. In Vine, a user presses down on the preview of the video in the middle of the screen to record. In Instagram, a user holds down a record button near the bottom of the screen. When holding down on the video preview in Instagram, concentric white circles briefly pop up, perhaps as a guide to help users remember their center point while shooting panoramas. 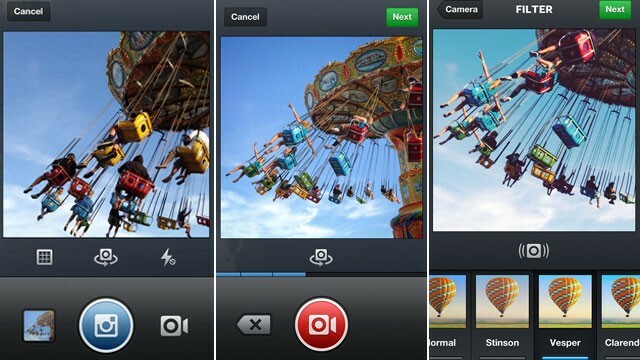 Instagram Video has several editing features, including an undo button and filters that change the colors in the video. Options include going black-and-white, reddish, brownish and whiteish. Instagram also promises to stabilize shaky videos, though I couldn’t get the feature to show up. Vine may release similar features in the future, but Instagram has the edge for now with that undo button. If a user grabs a wrong shot on Vine, he or she has to start all over. A Vine video constantly plays over and over if left unattended. Instagram videos play once and require another tap from the user to play again. 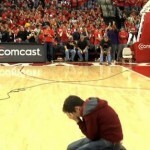 The Vine looping feature is often perfect for comedy and sports clips, which are two segments that have helped it become popular. Instagram videos can be shared via Facebook, Twitter, Tumblr, foursquare and email. But they can’t be easily inserted into other websites, such as a personal blog. Vine videos can be shared via Twitter and Facebook, and they can be embedded onto any website. Twitter and Facebook each supports its own video app, but not the other’s. So Vine videos don’t play directly on Facebook and Instagram videos don’t play directly in Twitter. Instead, users in each case have to click a link and go to another website. Users who swear off Facebook and spend more time on Twitter will probably choose to stick with Vine. Both mobile applications have a way to like and comment on videos. All Vine videos are public. Instagram videos will be public unless a users set their accounts to private. Instagram with video arrived Thursday on both Apple and Android devices with the same features. Vine still has a big gap between its Android and Apple applications. Notably, it’s harder to search for videos and friends on the Android version. Users also can’t use the front-facing camera to shoot video on Android Vine. For users who have both devices and want a seamless experience, Instagram’s a better option. On the tablet side, neither has an official app optimized for iPads or Android tablets. 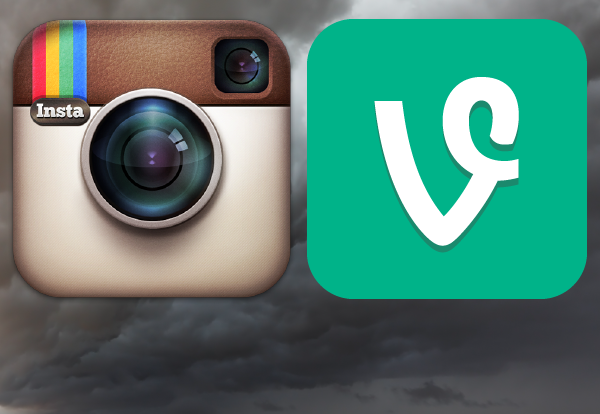 Once the apps have downloaded the content, both Vine and Instagram videos start playing immediately on mobile devices. During the brief pause before they start, Instagram shows a user-selected “cover photo” while Vine shows the first frame of the video. This was a key selling point for Instagram, but it might also be a temporary strategic move. Instagram users who are slow to update the app and get the video capabilities will see this cover photo in their Instagram feeds. This is not a huge deal but personally I never liked that odd green Vine uses for its color scheme, (that’s the color I never liked in the crayon box when I was a kid.) Instragram has a simple blue color scheme that is easier on the eye. 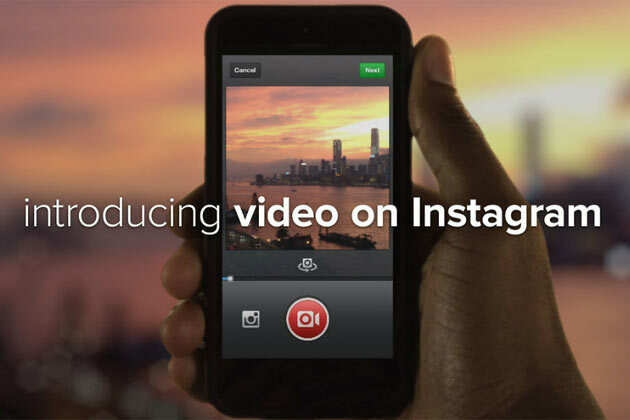 Instagram video will introduce Facebook’s huge user base to mobile video. That’s good for video-sharing applications in general. Instagram and Vine might end up attracting two different audiences. Groups of friends might choose to share more personal moments with one another on Instagram. Brands and more influential social media users could turn to Vine to share videos meant to reach a wide audience. In the end, I expect Instagram to pull this one out. In mobile, higher functionality always wins. 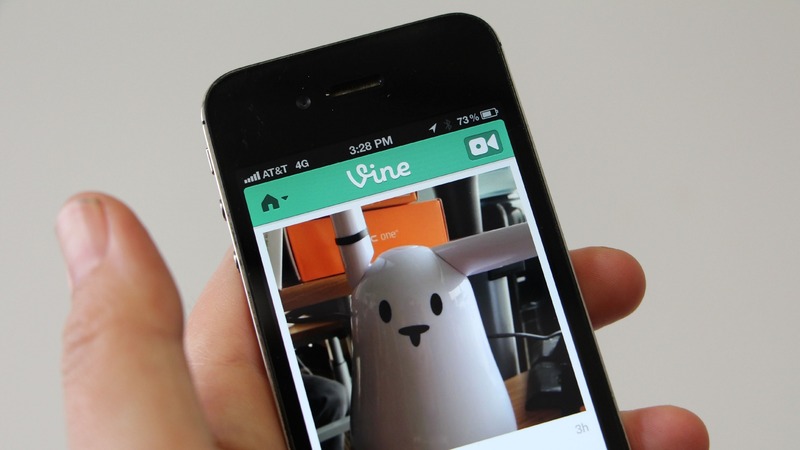 Who’s to say what features Vine will incorporate to enhance its marketability. Until then Instagram has it on lock.